Log on to Eventbrite's website and click CONNECT TO FACEBOOK. 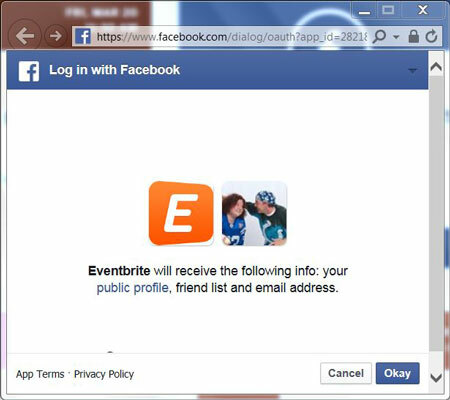 The Log in with Facebook dialog box appears, showing your profile picture and a message telling you that Eventbrite will view your public profile, friends list, and email address. Eventbrite responds with the most popular events in your area and among your friends. Of course, your friends have to be okay with Facebook posting the events they are attending. 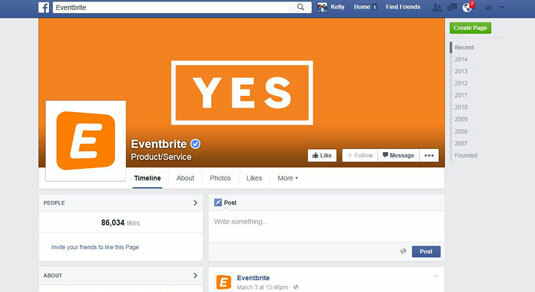 Connect directly to Eventbrite through the Eventbrite Facebook page. Like any other organization’s Facebook page, you can follow events in your area by Liking the Eventbrite page. You also can suggest events to your friends. 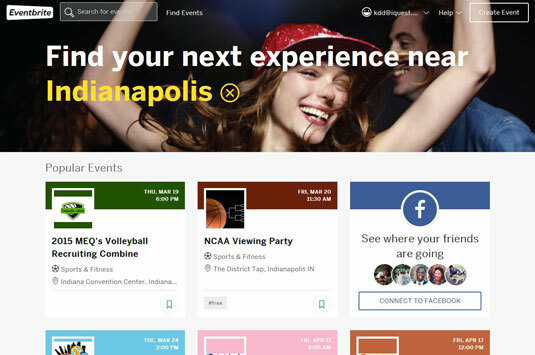 Connect to Eventbrite through BRITE BLOG. 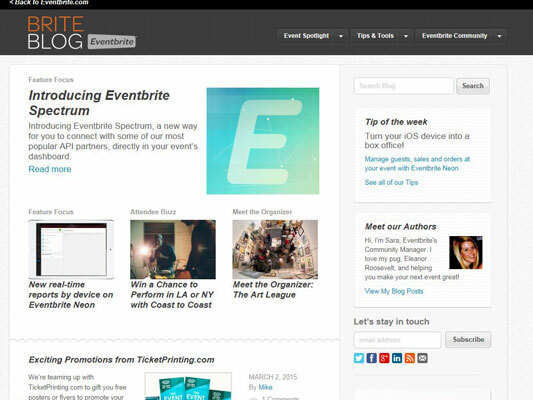 BRITE Blog is a site that offers you the latest news and tips about Eventbrite. Connect to Eventbrite through Twitter. 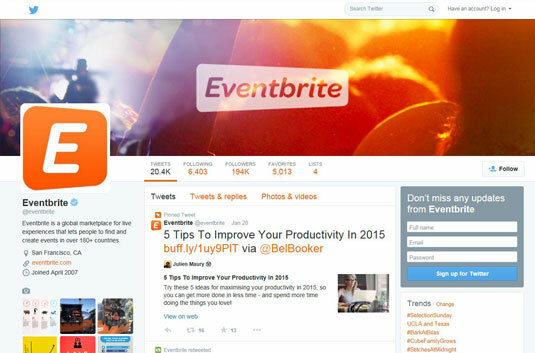 You can follow Eventbrite on Twitter and sign up to receive updates via Twitter. Connect to Eventbrite through Instagram. 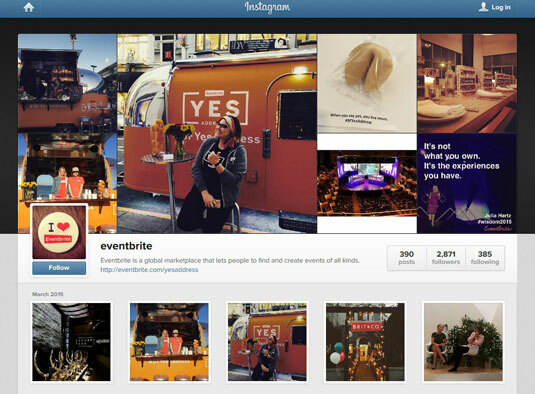 Follow Eventbrite and events in your area through Instagram.